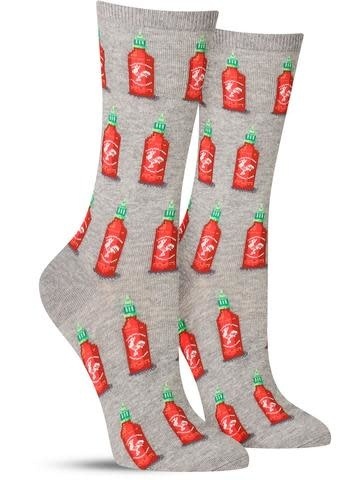 Have you scorched your tastebuds so much that you consider pouring Sriracha on pretty much everything? Yeah. Been there. Oh well! 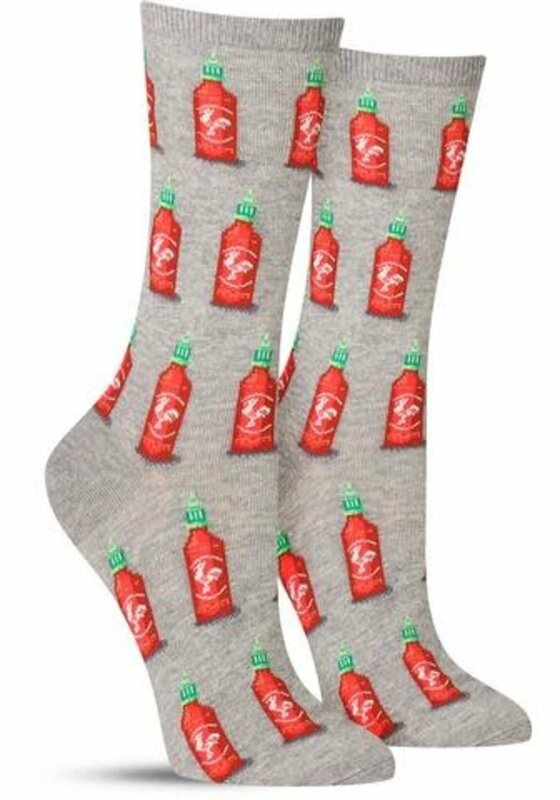 Embrace the heat with these fun hot sauce socks for women! They feature a pattern of bottles that look a lot like Sriracha, with the rooster motif and green lid.